The steady expansion of the city and its Irish contingent meant that by the 1890s, Liverpool had become the largest Roman Catholic diocese in England with over 400,000 Catholic citizens, one-fifth of the total Catholic population of Britain. And in testament to the strength of faith within the city, previous to the outbreak of the Second World War, three Catholic parishes in the city offered confession as Gaeilge. So why wasn’t the Irish influence on this global phenomenon that was The Beatles ever recognised? 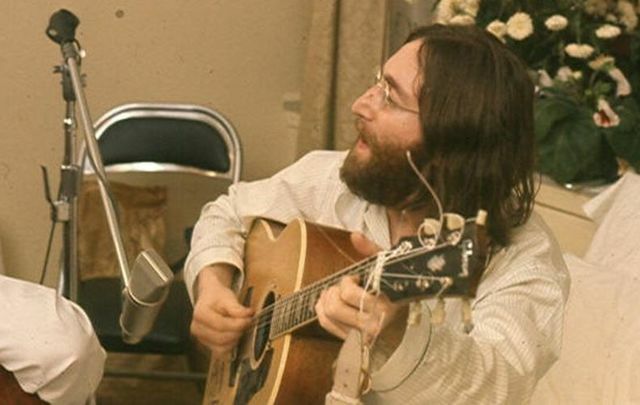 An important element of the biography, The Making of John Lennon, is examining the effect that that Irish working-class culture had on the formation of The Beatles. In 1964, at their first press conference in the US, The Beatles bewildered the American media with their irreverence and offbeat sense of humour; all of which had their roots in the Liverpool/Irishness of Scouse culture. As Journalist Paul Morley observed: “Liverpool is always on guard”. Liverpool has always had a deep-seated historical Celtic connection– the city sits with its back to mainland Britain, looking out instead to the Atlantic Ocean; so much so that the Mersey was viewed as an inland river of the Irish Sea. This combined with its sense of otherness and the outlook of defiance that existed in Liverpool’s inner-city population’s irreverence to status, radical and verbal gymnastics, fitted John like a glove. His search for rebellion was nurtured by his embrace of Liverpool’s Irish influence and the dynamic effect of the city’s seafarer culture via the movement of ideas across oceans. Its seafaring internationalism made Liverpool open to exotic, non-English ideas. As a port of world status, it had the confidence to ‘choose’ its own nation-state. It wasn’t only England. Although young John was not a Scouse in the true sense of the word, he readily threw himself into a world of poverty, shebeens, and communities of sharp-tongued, hard-faced, generous, quick-witted and quick-tempered people. A world that was sensitive to injustice, was rowdy and was rock ‘n roll. The world of docklands Liverpool- this was the life that John wanted. It was going poor, a very poor city, and tough. But people have a sense of humour because they are in so much pain, so they are always cracking jokes. They are very witty, and it’s an Irish place. It is where the Irish came when they ran out of potatoes. The whole notion of being an outcast, in a city full of outcasts, located in a last refuge seaport, appealed to John. 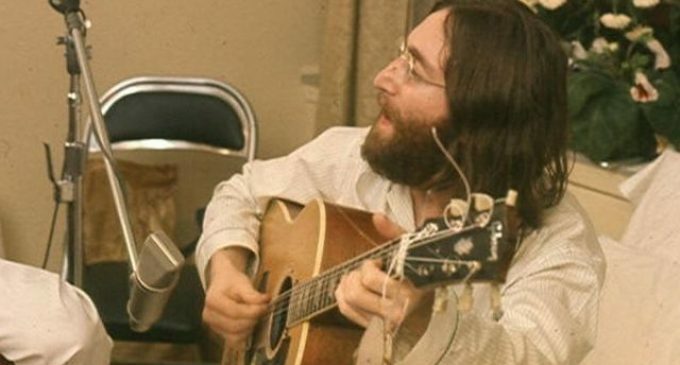 Francis Kenny is the author of The Making of John Lennon, which is out now published by Indiana University Press. The Making of John Lennon examines the all-encompassing Irishness of Liverpool’s influence on Lennon and his traumatic childhood as well as the genius of the The Beatles and their bitter and prolonged breakup.